Following a group of young women in and around New York City over a period of three years, Jenny Gage's film is a portrait of adolescence composed in vibrant colour and astute detail. When we meet these girls – initially aged between 14 and 17 – their concerns are familiar: boys, parties and what they will wear on the first day back at school after summer break. As the film progresses, however, real life begins to show its teeth: Lena's rocky family situation threatens her future prospects, Ginger feels alone and adrift after her friends depart for college, and Olivia struggles with her attraction to other girls. While such adolescent angst is nothing new, Gage's eye for detail and composition – not to mention Connor Kalista's deft editing skills, given the reams of footage that must have been shot – give All This Panic a ferocious energy. There are no talking heads or captions; instead, DoP Thomas Betterton's camera observes the girls' interactions with the world around them, the passing of time marked through changing hairstyles. Fast cuts between brief snapshots of life – the girls riding a train, or running in the sand – give rich background texture to the conversations and confessions. That Gage gives the girls the freedom to tell their own stories lends the film a powerful authenticity. 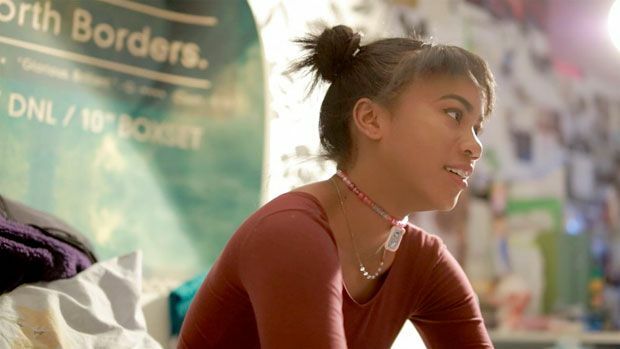 Although these young women often speak with a philosophical insight that wouldn't seem out of place in a well-written teen drama, they come across not as scripted but smart and self-aware. Despite their fears and vulnerabilities, and the buffeting forces of peers and parents, they are refreshingly confident in themselves and their opinions; even if they feel others aren't listening. 'The teenage body is so over sexualised,' observes 18-year-old feminist Sage. 'People want to see you, but they don't want to hear what you have to say.' All This Panic, however, can join the likes of Girlhood and Mustang in giving young women a compelling, resonant voice. It's a rare joy to see such an unfettered and honest view of the modern female experience, and one can only hope that filmmakers in other parts of the world quickly follow suit. Limited release from Fri 24 Mar. Documentary about a group of young women in and around New York City, filmed over three years. Director Gage gives them the freedom to tell their own stories, and they come across as smart and self-aware. An unfettered and honest view of the modern female experience.